Toddler Approved! : 5 Awesome Summer Resources for Kids! 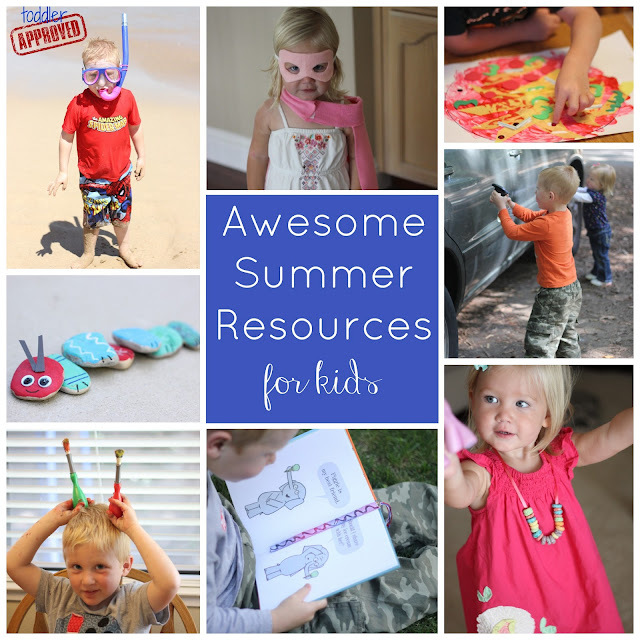 5 Awesome Summer Resources for Kids! At our house the summer is filled with traveling, adventures, reading, and having a lot of fun! Today I want to share five awesome summer resources with you so that you can make this summer the best one yet! This summer we are bringing you Virtual Book Club Summer Camp! Basically... we provide the book suggestions, supply lists, activities, and tips, and you use the resources that we provide to help create an awesome summer filled with book themed fun! Kids will barely even know that they are learning! 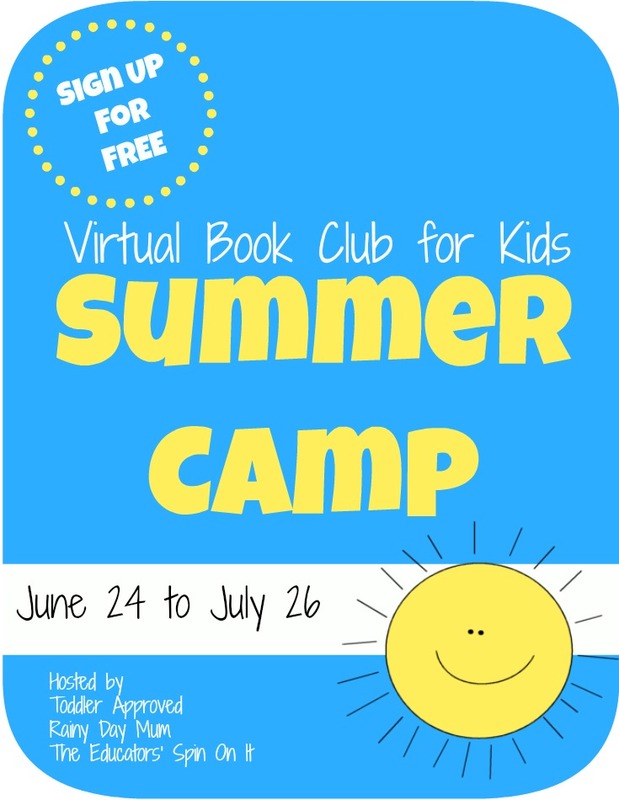 You can sign up here and join hundreds of other families at Virtual Book Club Summer Camp! Each summer we do our own Toddler Approved Camp Mom where I turn into the Camp Counselor and create fun and simple activities to fill the sections of our summer days when we aren't at the pool, playing with toys, or just sitting outside eating popsicles. This will be our fourth year hosting Camp Mom. Over the next few weeks we'll be sharing round ups of Camp Mom activities from previous years so you will have loads and loads of FREE resources to use as you plan your summer! Then in mid-July we'll kick off this year's official Camp Mom where we will share simple summer crafts and activities for toddlers and preschoolers! If you want to make sure you don't miss Camp Mom, sign up for our free monthly Toddler Approved newsletter for updates and info. 3. BabbaCo's Summer Survival Pack! BabbaCo has a 3-Month Summer Survival pack filled with summer activities that will just arrive on your doorstep and keep you busy all summer long. We get these boxes each month and LOVE them! It is so nice to have something to pull out when we have some down time that I don't have to create myself! No Time for Flashcards shares a fabulous Summer Reading Bucket List that we plan to use this summer. I love that it is simple and will help us be creative about what books we read and where we read them! 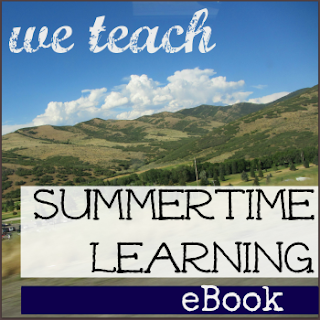 The We Teach Summertime Learning E-Book is a fabulous and FREE e-book for parents and educators that shares ideas for keeping summer learning fresh, fun, and fabulous. It comes out this week, so check We Teach for more details. I am hoping to make this summer our best yet by keeping things simple and relaxing while also finding creative ways to embed learning activities into each day! I hope you find these five resources useful as you plan your summers! Hope to have many of you join us at Virtual Book Club Summer Camp in just 24 days! Thanks for this list of resources. I'm really excited to look into the virtual book club! Summer break is always a problem for me especially when I have no activities to give. Thanks for the idea!